Hi folks. Our previous post was about configuring the WAMP server and installing Magento 2. That’s all what is needed for a basic user. 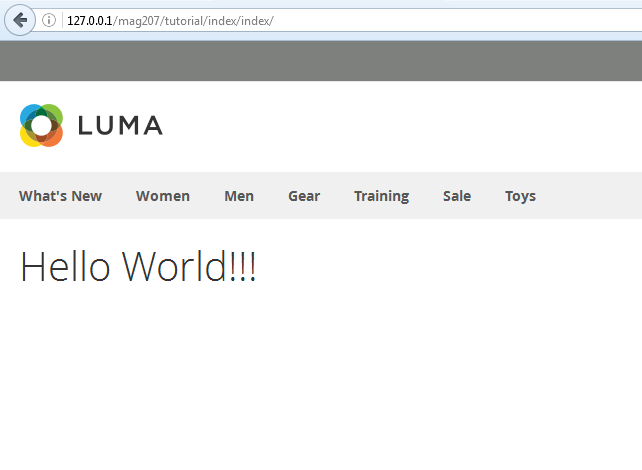 For a developer who is striving to get their hands dirty on Magento coding, the rudimentary step would be to develop a 'Hello World' module. Yes, today we are going to dive into the coding part and say hello to the world in Magento 2 style. Now that our module is initiated, we will need to register it using the registration.php. Once our module is initiated and registration process is completed, let’s create a controller file. In Magento 2, you need to create a file for the action and not for a controller which was done for Magento 1.9 versions. The final step is to run our controller action in the browser: http://127.0.0.1/<folder_name>/tutorial/index/index/ Click Here to download the Source Code.